Streets Alive is a great opportunity to give back to your community - besides, it's fun! Sign up on your own or bond as a group with friends, family, co-workers, or church members. Whether you'd like to sign up for an hour or for the day, you'll have great time. 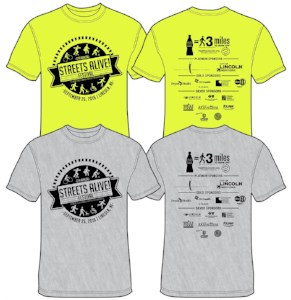 All event volunteers will receive a free t-shirt to wear the day of the event. Below are some of the volunteer opportunities. Volunteers will be able to find parking and street closing information on our FAQ page closer to the date of the 2019 festival. So much to do before the event! Help set up tables, chairs, information booths and stages. Assist with placement of signage. Moderate lifting will be involved. Be the hot spot at one of our 5 information booths to assist exhibitors, entertainers, and participants in finding their way. You'll also be an access point for anyone to reach one of the event producers if needed. Check in with information booths & exhibitors along the route to determine needs. You may be asked to distribute water, materials, etc. You will need a bike and helmet. A bike trailer may be helpful to carry materials, but is not required. Post pictures and comments from the day. Chat, tweet, post and click away! That's a wrap! Help take down information booths, load up tables and chairs, pull signs, and pick up any trash left from the event. 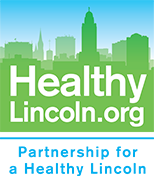 For more information contact us at info@healthylincoln.org.